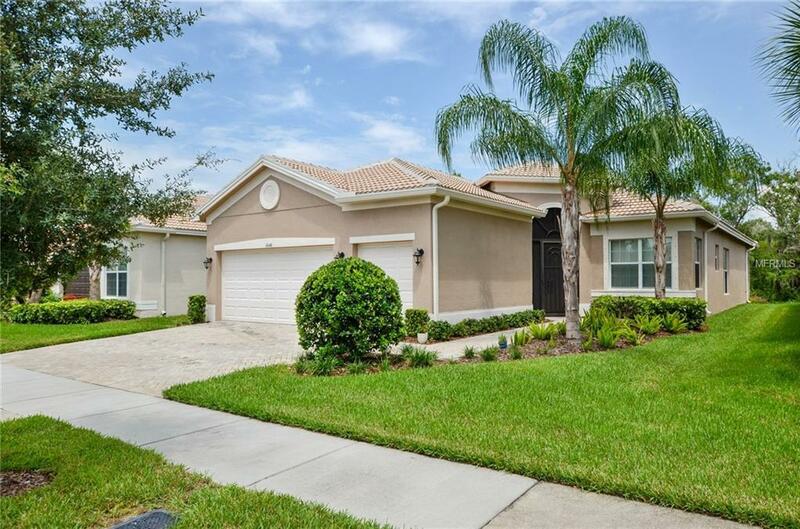 New Price for Exquisite Palazzo floor plan with 2186 sq. 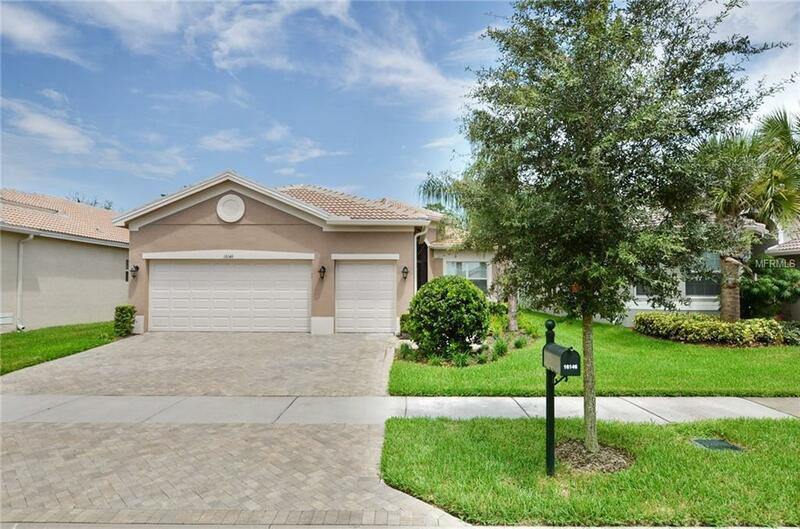 ft including 4 bedrooms, 2 baths built in 2016 can be your own paradise! Located on a quiet street with conservations nature views to enjoy birds and butterflies! The 2 car garage has epoxy floor and tons of hanging storage too! 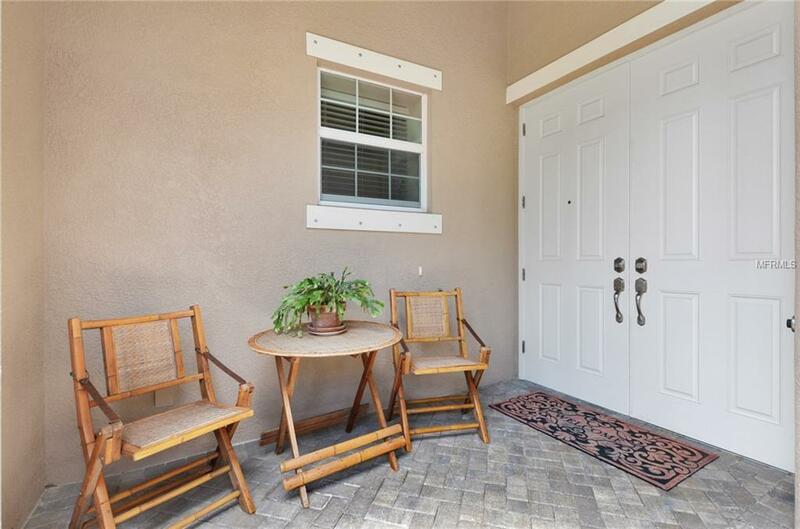 Enter the screened front lanai and Step inside to the diagonal tile throughout. A Huge slider with views brings the outdoors inside! The great room, dining and kitchen are open and perfect for entertaining. The gourmet kitchen features wood cabinets, granite counters, glass backsplash, stainless appliances, breakfast bar, pendant lights and a pantry wall with tons of pull outs! Eating space in kitchen has large windows to take advantage of the views! The master bedroom with tray ceiling is large with views too! The hall with 2 large walk in closets with organizers leads into a large master bath with cabinets, granite with dual sinks, tons of counter space and large walk in shower. There are two large bedrooms with convenient upgraded bath.The Den or 4th bedroom is tiled and a versatile space to make your own. The half bath is upgraded too! Home has window treatments, fans, lights, reverse osmosis, cabinets in laundry room with sink and gutters and more. 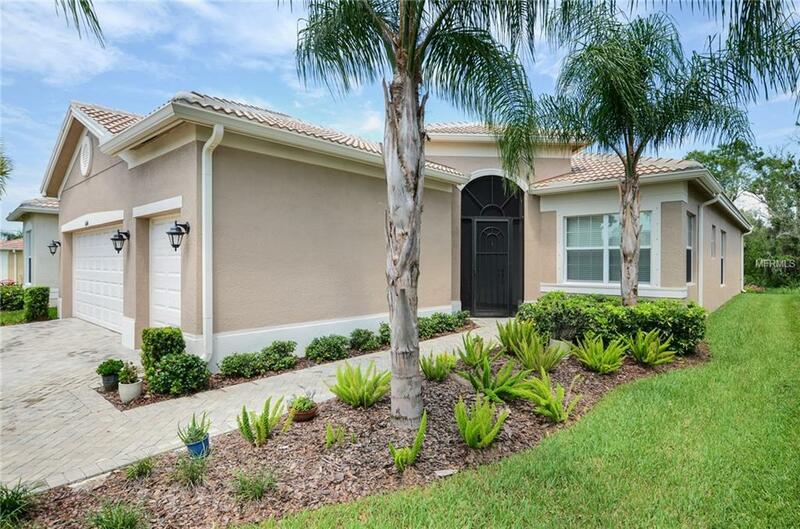 All this and located in Valencia Lakes, Floridas premier 55+ community where you can enjoy the amenities like sports, shows, clubs, exercise and live like you are on vacation everyday! Better yet, stay home and enjoy your very own private paradise and live your dream!